South Australia solar….as electricity prices continue to rise across the nation, South Australians from Adelaide to Andamooka are looking toward generating their own power from rooftop solar panel systems in order to reduce or even eliminate their bills. Retailers will pay you at least 6.8 cents per kilowatt hour for any excess solar energy you produce that can be fed back into the grid. Some retailers may offer a higher rate. The Federal Solar Credits program allows for a substantial point of sale discount on solar power systems – but the future of the incentive is under threat; making now a very good time to go solar. Between June 2007 and June 2012, South Australian households endured a 62% increase in the cost of electricity. That was followed by a further 18% increase during the June 2012 – July 2013 period. The 2013/14 financial year delivers even more pain – with the average household needing to find an extra $100 a year. South Australia solar owners have some of the most attractive feed in tariffs in Australia. This means with the right system and energy efficiency measures in your home, you could be earning money, not just saving it. Couple this with Energy Matters’ lowest ever prices on world-leading brands and NOW is the best time to install solar and reap the benefits of a substantially reduced electricity bill. Check out our latest specials on solar panels in Adelaide and South Australia – systems start from very low prices – or try our no-obligation quick solar quote tool to calculate which system is right for you. After having installed over 2000 systems in the state, the Energy Matters team understand the needs of South Australians. Whether you’re in Adelaide, Kapunda or Cooper Pedy, we have a solar solution for you. 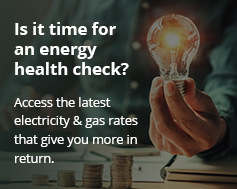 Energy Matters’ thorough understanding of government policy and rebates ensures we only offer systems that best suit your needs under current state legislation. Our team are also Clean Energy Council accredited. Furthermore, the industry benchmark solar panel mounting system, SunLock, is designed by Energy Matters and manufactured right here in Australia to handle the toughest South Australian weather conditions. We source all other system components such as panels and inverters from the world’s most reputable suppliers. Give our friendly Adelaide team a nudge to discuss your options by getting a quick solar quote. Join the 2000+ houses in Adelaide and South Australia already saving money with a solar power system from Energy Matters!